Large executive saloon similar in size to an S-Class. Hyundai not premium enough in the UK for this sort of car. 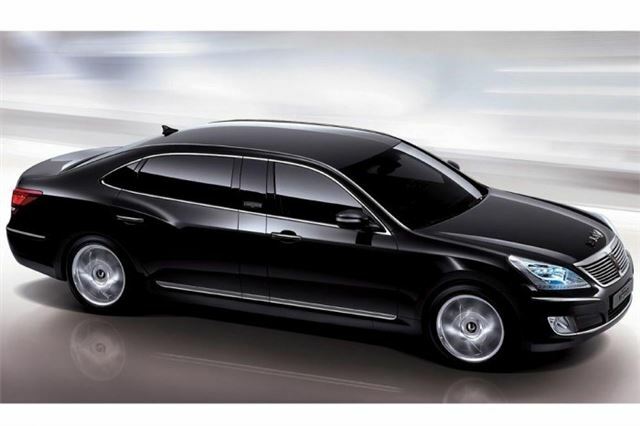 The Equus saloon is the largest and most expensive vehicle in the Hyundai line-up, rivalling the likes of the BMW 7-Series and the Mercedes S-Class. Prices for the Equus Limousine start at approximately £70,000 and go up to £80,000.The Equus is fitted with the most powerful engine ever built for a Hyundai production car – a 5.0-litre V8. With a maximum output of 400PS and a torque rating of 500Nm, the Equus outperforms competitors such as the Lexus LS460L by 20PS and the Mercedes S500L by 12PS.